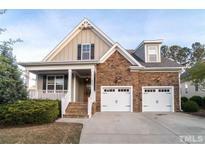 Find Wake Forest, NC Homes for sale. View Photos, Maps and MLS Data Now! Wakefield Estates - Minutes to shopping/dining and walkable to Forest Ridge Park's playgrounds and walking trails. MLS#2249913. 2017. Spacious master Bedroom w/ deck access, walk-in shower, generous Secondary Bedroom’s, 3 full baths, large 4th bedroom on 2nd floor, humongous walk-in attic, screened in porch, private & landscaped yard! MLS#2249845. 5026. 4-car garage - Yes, you can MOVE RIGHT IN! MLS#2249290. 3038. Enjoy resort-style living w/pool, parks, trails, etc! MLS#2249435. 2817. Enjoy resort-style living w/pool, parks, trails, etc! MLS#2249405. 2817. Glenmoor - Customer drapes & paint colors! Amazing corner lot! MLS#2249380. 810. Private back yard! Better than new! MLS#2248866. 1695. Drayton Reserve - Relax in sun room or on the deck overlooking fenced back yard. Must see! MLS#2249355. 513. The home boasts HARDWOODS, Rinnai tankless water heater, GRANITE COUNTER TOPS, 2nd floor BONUS ROOM, MASTER ON MAIN, large unfinished storage area on 2nd floor, IRRIGATION, new interior paint throughout, exterior painted 3 years ago, near a WALKING TRAIL, cul-de-sac, & park! MLS#2249030. 297. Deer Chase - Gleaming hardwood floors downstairs, formal dining with extensive crown, kitchen with granite is open to living room, large island, spacious breakfast nook with bay, 2 pantries, marble mantle with wood stove, downstairs office, master with vaulted ceilings, clawfoot tub and granite in master bath, amazing sunroom, large deck, huge flat back yard! MLS#2249498. 5120. Crenshaw Hall Plantation - Upgraded features include new carpet in select rooms and new flooring in select rooms. MLS#2249557. 4823. Do not let this Gem get away! MLS#2249505. 1930. Gordon Place - Detached shed offers an abundance of space for storage or whatever hobby interests you! A MUST SEE! ! MLS#2249602. 3038. Jones Dairy Farm - Great backyard with a POOL and DECK offering plenty of privacy. MLS#2249419. 1502. FamRoom: w/Cstm Srrnd GasLog Fireplace w/Mantle & Blt Ins! MLS#2249192. 1128. 2nd floor 3 bedrooms 2 full baths, huge bonus & walk in storage. MLS#2249302. 1127. Large bonus Room upstairs w/walk-in storage, deck overlooking water, 1st floor laundry/mud room, & side entry 2-car garage! Make this home yours... MLS#2248561. 4276. Chartwell - This home really has to much to list and is a must see in person; butlers pantry w/wine storage, central vac, chicken coup MLS#2246926. 4346. Austin Creek - Upstairs provides a huge bonus room, large fourth bedroom with a full bath. MLS#2249138. 1445. This Wake Forest 1.5-story cul-de-sac home offers a first floor master bedroom, a tankless water heater, a fireplace, and a two-car garage. MLS#2249245. 4823. Completely separate living/entertainment space in an AMAZING finished basement w/ 5-in engineered hardwoods, crown molding, second full kitchen w/ granite counters & large island, exercise room & office (could also be additional bedrooms). Lawn maintenance included in HOA! MLS#2248976. 1758. Austin Creek - This home backs to a lovely wooded natural area. MLS#2248952. 3789.